During the past few weeks, I have seen the good, the bad and the ugly; a tale of three Americas with different values and virtues. Most importantly, I have seen a society with zero tolerance for deceit, greed or just plain stupidity. The good “The Pope”. We have Pope Francis’s visit, which is defined by a message of inclusiveness, humility and simplicity. In his speech to Congress, the Pope urged America to embrace immigration from Latin American and all around the world. Pope Francis is making a splash in America, a splash that has been amplified with social media as people are tweeting every step of his journey. The bad “Trump”. We have Donald Trump who mocks and objectifies females' appearances. During the GOP presidential debate, he commented on a fellow candidate, Carli Fiorina, saying: “Look at that face. Would anyone vote for that?” His #AskTrump Hashtag backfired. Many people had seized the opportunity to post tongue-in-cheek, sarcastic questions. The ugly “Shkreli”. We have Martin Shkreli, a 32-year-old hedge fund manager, whose company bought a drug that fights the complications of AIDS and cancer. The company took a life-changing drug and made it nearly unaccessible by skyrocketing the price of it by more than 5,000%; pre-Shkreli, the pill cost $13.50 and post-Shkreli price is $750 per pill. And he still has the audacity to defend his actions. Within hours, he became public Enemy No. 1. A villain. The most hated man in America/the Internet/the world. 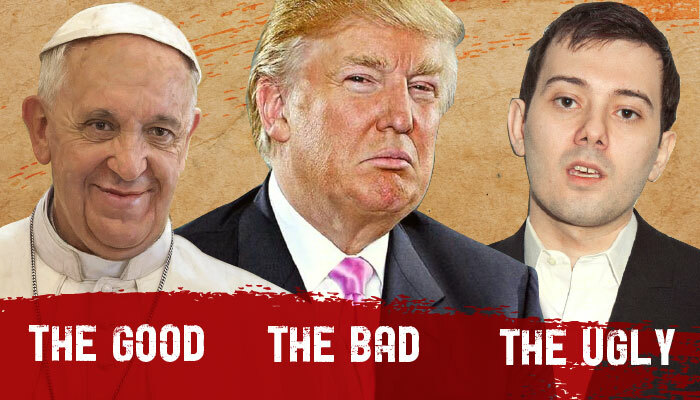 We are living in an era of zero-tolerance where there is no place for people like Shkreli or Trump to hide or run. With social media, anything is fair game.